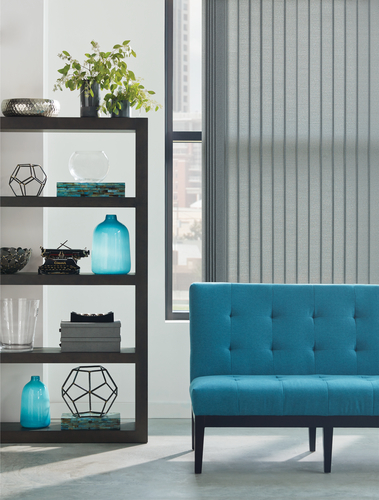 Two layers of fabric with alternating stripes of sheer fabric and privacy fabric. As the shade is lowered or raised the stripes pass over each other creating a variety of patterns. 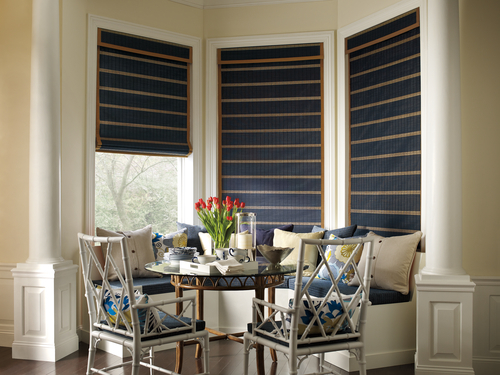 Alternating stripes of privacy and sheer fabric allow for the shades to be positioned for full privacy or a view. Comes in a wide variety of colors and fabric styles to match any décor. For high sun areas where heat and glare are an issue. Do not provide night-time privacy. Offers sun protection and privacy. There is no view when shades are lowered. 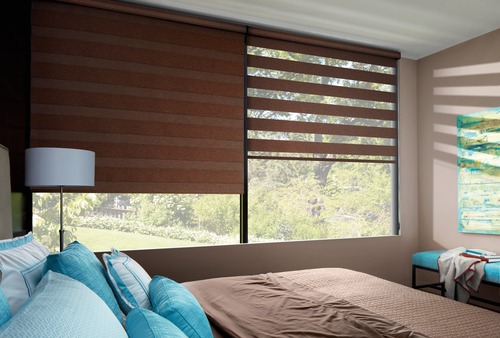 Provides complete privacy with blackout fabrics available. Easily raised and stack in a small compact space. Options for lowering the top and raising from the bottom for versatility. Brings a wide variety of textures and colors to your windows using natural fibers, grasses and bamboo. Fabrics can be lined to block out light. Can be made from a wide variety of fabrics which is lifted by cords spaced across the back of the shade. Sections fold one onto the next as the shade rises. 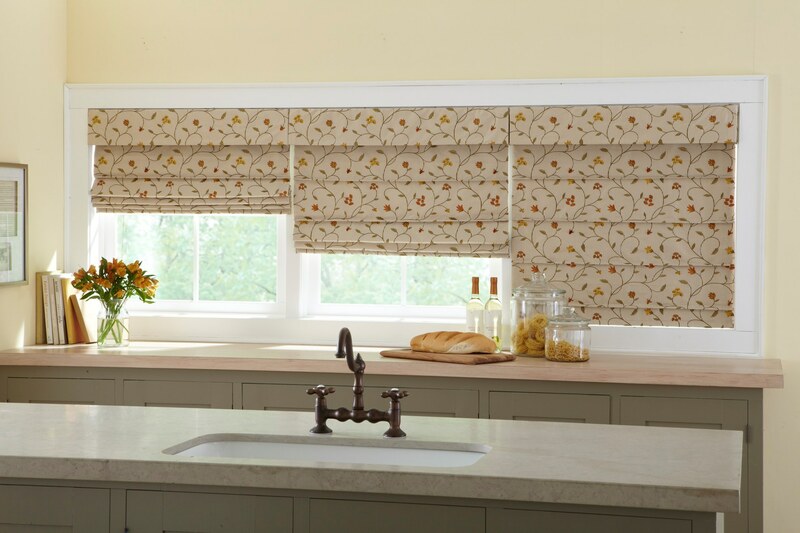 The shade can be stopped at any point along its travel and the lifted material will give the look of a custom valance. 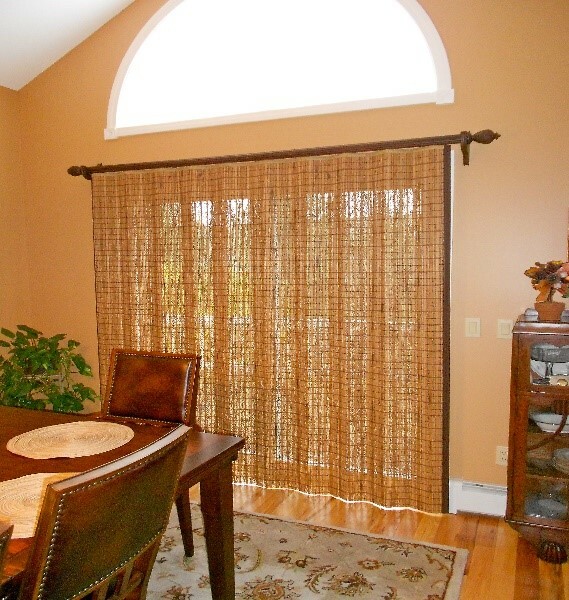 Another great option for sliding glass doors or large windows. Multiple panels slide horizontally on a track system. Individual panels can be ordered in a wide variety of fabrics. Panel widths range from 10 inches wide to 17 inches wide. An old standard for versatility. Available in PVC louvers that are room darkening when closed, or fabric louvers that are semi-opaque allowing some light through while still being completely private. Both versions can be traversed to open the entire window. Louvers rotate closed for privacy or open for a view. The blind can be raised for a totally unobstructed view. Motorized louver tilt is available. PLANTATION SHUTTERS - A bit of Old Florida Charm. Larger louvers that open for a nice view and close for privacy. Panels are hinged to allow access to the windows. Frame work can provide trim around the window opening as well. Natural fabrics on a horizontal sliding track. 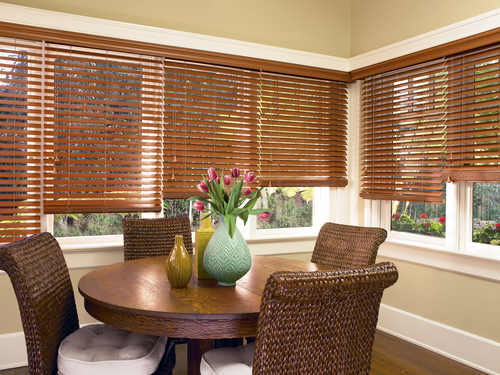 Another treatment option for your large windows or sliding glass doors. Shades & More offers a complete line of drapery. 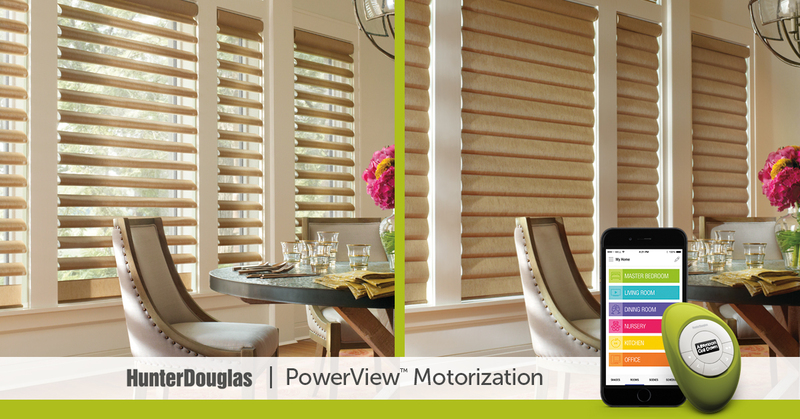 Almost all window treatments can be motorized. 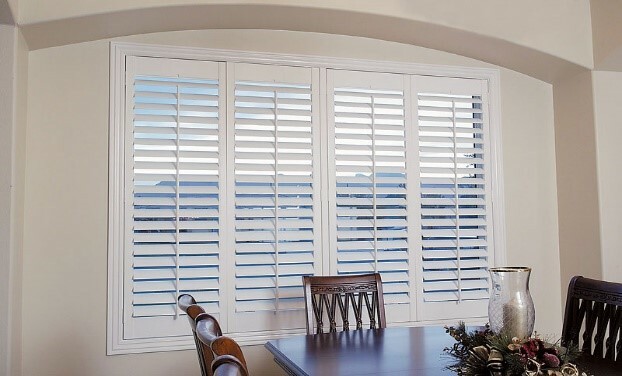 What is generating a lot of excitement is the ability to connect the motorized shades to the house Wi-fi. With this system, you can operate your shades with your Smart phone, Tablet or computer. A whole list of home automation functions can then be programmed. 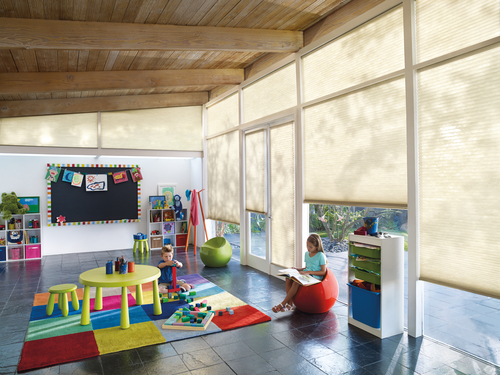 Like opening or closing shades at different times of the day, operating the shades for different functions (like “watch a movie”) or waking up the children for school by opening the shades in their bedrooms. The options are limited only by your imagination. 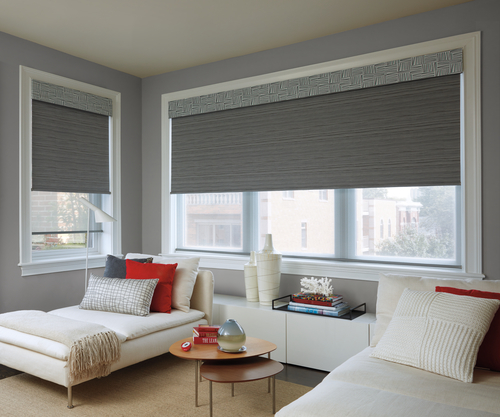 Shades & More has experience with not only Hunter Douglas systems but also systems by Somfy, Q-motion and Rollease.